Due her first baby in the Rotunda Hospital in April 2019 we are delighted Ioana has agreed to perform so close to her due date at what promises to be a wonderful evening Celebrating Generations of Rotunda Mothers. Join us for the first of a series of performances celebrating the history of music and the arts held in aid of the Rotunda Hospital the first and oldest Maternity Training Hospital in the World. Romanian born sopprano Ioana Constantin Pipelea is a recently naturalised Irish citizen and a graduate of the Royal Irish Academy of Music in Dublin. A former Young Artist at Northern Ireland Opera, Belfast. during which time she attended masterclass courses at Covent Garden (ROH) and National Opera Studio London. 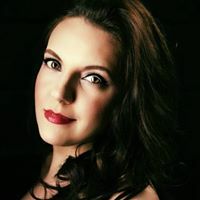 Ioana performed the following operatic roles: Pamina in Mozart’s The Magic Flute , Vixen in The Cunning Little Vixen by Janacek, Cupid in Handel’s Semele, Emmie in Britten’s Albert Herring, Clorinda in Monteverdi’s Il Combattimento di Tancredi e Clorinda. In the vocal symphonic genre Ioana sang soprano solo in the 4th Symphony by Mahler with the HibernianOrchestra at the National Concert Hall Dublin, the solo soprano in “Messiah” by Handel with the Irish Baroque Orchestra, BBC Radio soloist with Ulster Orchestra. Ioana won the Gerard Arnhold Bursary Award at Wexford Festival Opera in 2017. In July 2018 Ioana made her debut with the RTÉ Symphony Orchestra in a live broadcast Summer lunchtime concert presented by Liz Nolan on RTÉ Lyric FM. She was recently a finalist in the Veronica Dunne International Singing competition and the 2018 Bordeaux International Singing Competition.